Uema Ayano made a surprise visit to the Hawaii Okinawa Center during the Okinawa Prefecture Peace Memorial Museum’s exhibit “Messages of Peace by the Children of Okinawa,” from February 3 to 7, 2016. Photo and information from Uchinanchu, Jan-Feb 2016. Uema Ayano, “Okinawan Soul,” was here, in Hawaii, a month ago, and I missed it. I can’t believe it. Hopefully she’ll return to perform at the 2016 Okinawan Festival September 3-4. If I make it to the 2016 Taikai, October 26-30, I hope she’s going to be one of the performers. 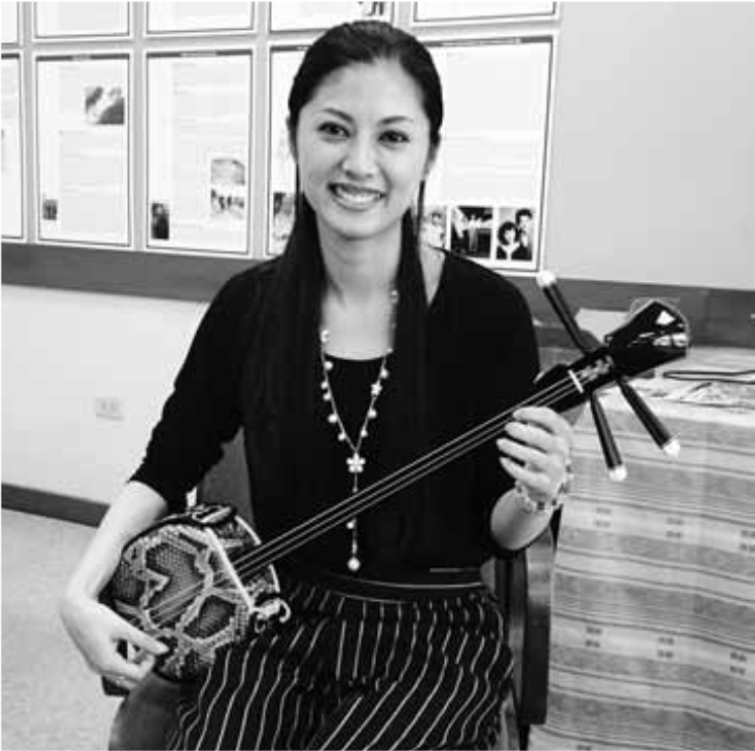 If you haven’t heard her play the sanshin and sing, then you’re in for a surprise. She has a style that will reach deep into your Okinawan soul. I began this blog, Liuchiuan, after accidentally stumbling on one of her videos on YouTube. My article about her, “Uema Ayano (上間綾乃): Okinawan Soul,” was the first post in this blog on June 21, 2013. She made the Okinawan spirit, expressed in minyo, come alive for me, and that ignited an interest in Okinawan music, culture, history, politics, sports, food, etc. If you’re not familiar with her songs, make the time to listen to some of her performances captured in YouTube videos. Do a search on “Uema Ayano.” In my post, I’ve embedded a number of videos that I really like. This entry was posted in Culture, Entertainment, Exhibition, Hawaii Okinawa Center, International, Minyo, Music, Singer, Uema Ayano. Bookmark the permalink.